Apple and Disney want more than your money. They want to influence your behavior. Disney’s MagicBand wearable is teaching hundreds of thousands of Walt Disney World visitors how easy it is to manage their vacations with a simple swipe of the wrist. The Apple Watch promises to empower consumers to use their wrists and voices to perform actions ranging from buying coffee to controlling the temperatures of their homes. I use the term “market maker” to refer to a person or business that shapes our lives and behaviors. Small, nimble businesses such as Airbnb and Uber are market makers because they have upended lodging and transportation by convincing people to share services with each other. But as Apple and Disney show, big brands can be market makers, too — and big brands wield more scale. The Apple Watch and MagicBand are imperfect devices that promise to get better as more people use them (the MagicBand, with a two-year head start on the Apple Watch, has already done so). But what makes Apple and Disney market makers isn’t their focus on making better products: it’s their vision to create an extension of you. My new white paper, Apple and Disney: Extensions of You, analyzes the three reasons why the MagicBand and Apple Watch are designed to succeed where other wearables have failed, and I provide tips for your business to embrace wearables successfully. I invite you to download a copy (no registration required) and let me know what you think of it. 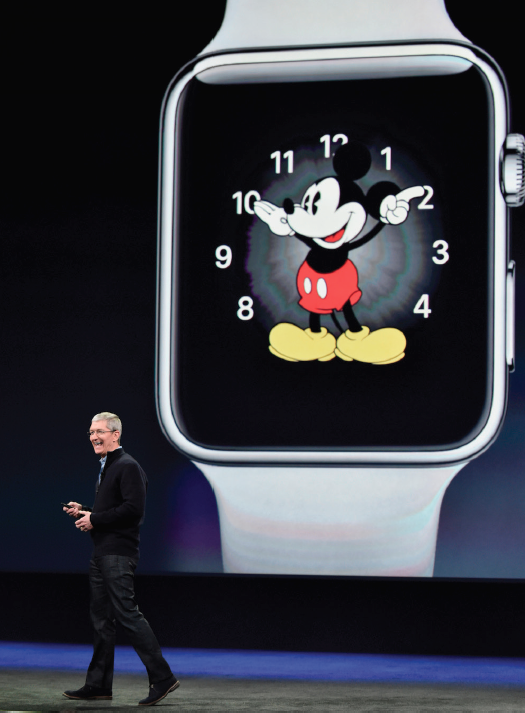 This entry was posted in Marketing and tagged Apple, Apple Watch, David Deal, Disney, MagicBand, Superhype. Bookmark the permalink.